Flipside University - Meet Dane Part 2! Comic number two of Meet Dane! 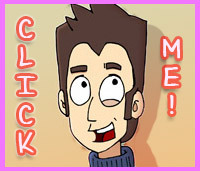 Please like it and share it, blog it and whatever else is used for spreading webcomic love on the inter-webi-sphere! Thank you kindly! Also, expect an epic conclusion in part three, coming soon! Enjoy!